Microsoft is launching a channel partner program on Monday to help drive sales of its Surface tablet to companies, schools and other organizations. The program is operational now in the U.S. with a small set of partners and will be expanded domestically and internationally in the coming months. It arrives amidst criticism that Surface -- and Windows 8 tablets in general -- haven't sold well since they hit the market late last year. 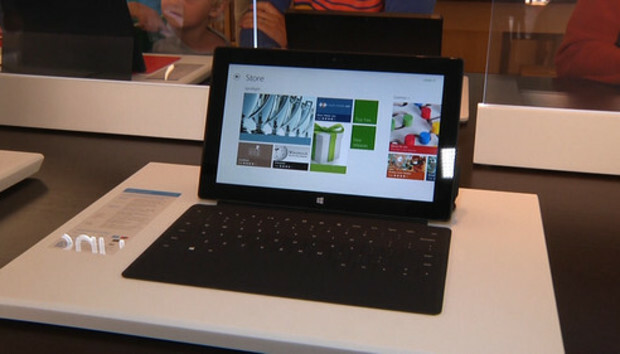 Microsoft already has a program for retailers who sell Surface primarily to consumers. That program is operational in about 10,000 stores in 30 countries. But Microsoft has only a limited direct-sales program for reaching organizations that want to buy Surface tablets in bulk, however. Microsoft said it's optimistic about the opportunities the new program could open up for Surface in private-sector companies, government agencies and the educational market. "This is the initial phase of the program and the logical next step for the expansion" of Surface distribution, said Cyril Belikoff, Surface marketing director at Microsoft. The ISV part of the program is called AppsForSurface, and participants will receive Surface devices and funding. Citrix, Houghton Mifflin Harcourt and Airstrip have signed up. The first Surface model that shipped ran Windows RT, the version of Windows 8 for ARM chips, so it can't use existing Windows 7 applications -- only new applications built for the new OS and available from the Windows Store. It comes with a version of Office that isn't licensed for commercial use. Windows RT also lacks many IT management features and doesn't support the Outlook email client, but Microsoft is addressing those two issues in the 8.1 update of the OS, which is now in previews and slated for general availability later this year. This should make Surface RT, which is priced at US$499.99 and started shipping in October, more attractive for workplace use. According to IDC, Microsoft shipped 900,000 Surface tablets in the first quarter of the year, giving it a 1.8 percent market share. Apple led the pack with 19.5 million iPad shipments, a market share of almost 40 percent, followed by Samsung with 18 percent share, Asus (5.5 percent) and Amazon.com (3.7 percent). IDC noted that Windows 8 and Windows RT tablets from other hardware manufacturers have struggled to gain traction as well -- 1.8 million Windows RT and Windows 8 tablets shipped in the first quarter.